The squatting run Arrandoovong dates from the earliest times, being taken up by Patrick Lynch in 1844. It's next owner was Thomas Best, a blacksmith in the service of the Henty family at Portland. He subsequently became a publican in Branxholme and sold Arrandoovong in 1853. 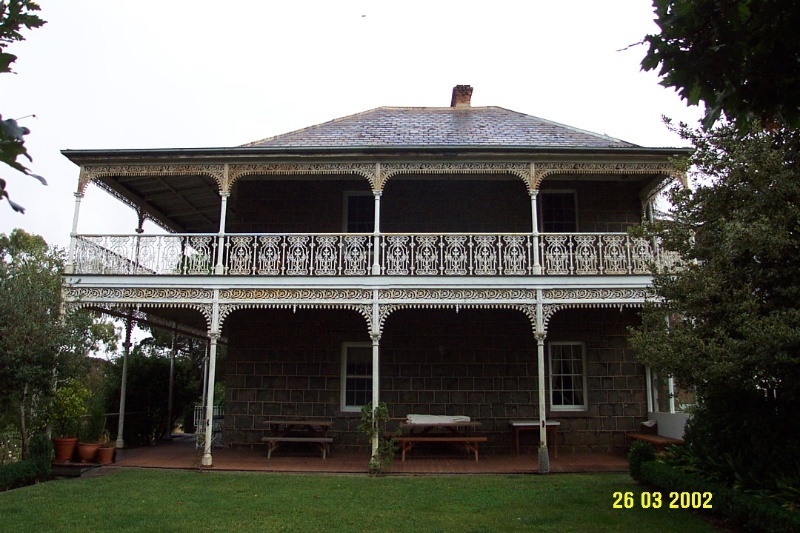 It was the third owner, Angus Cameron who built the very large two storey bluestone homestead. In the further Western District at that time, Arrandoovong is comparable only with The Plains homestead (later known as Skene) and one of the key homesteads of the Robertson-Skene dynasty. They were later owners of Arrandoovong and were probably responsible for the replacement of the original front verandah with the existing. The conservative homestead is particularly fine. It is symmetrical, its plan is conventional, and the chaste detailing is in a refined classical style. No architect or builder has yet been connected with the design and construction. Several local architects, such as James Henry Fox, could have been responsible. A new kitchen wing was built around 1900. Various standard outbuildings complete the complex. The homestead was set within an extensively landscaped garden and park with an orchard and other special gardens. The homestead retains an excellent degree of integrity, with only minor changes during the Interwar period and the modernisation of the kitchen wing. The other buildings are also intact. All the buildings, the garden and the drive are in excellent condition. 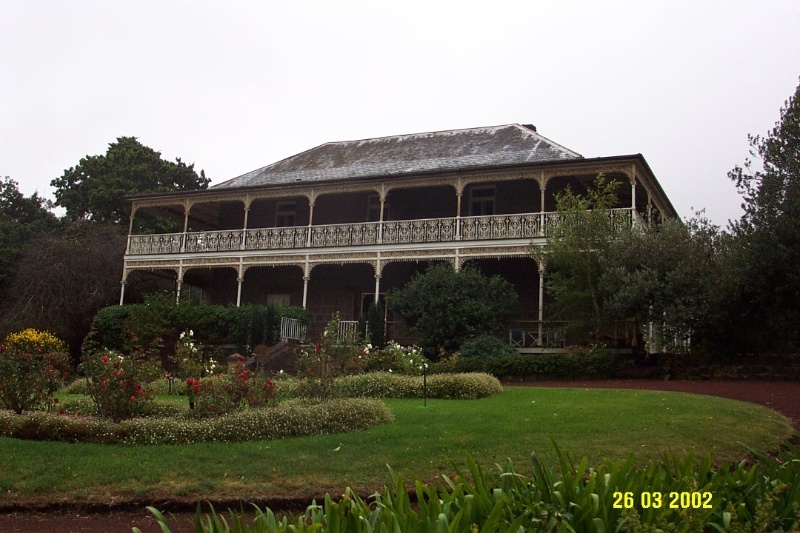 Arrandoovong Homestead Complex is of historical and architectural significance to the state of Victoria and the Southern Grampians Shire. 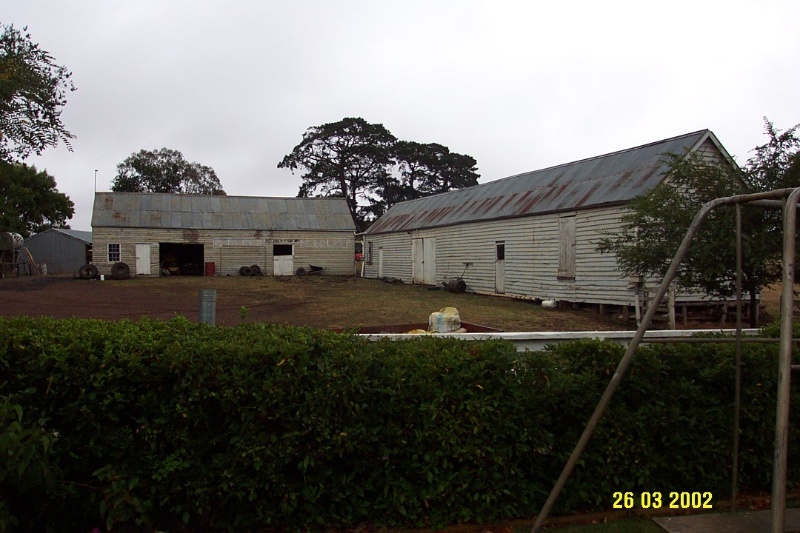 Arrandoovong Homestead complex is of historical significance for its direct associations with leading pastoral families over its first hundred years including the Camerons, Skene's, Robertsons, Armstrongs, Austins and Kiddles. Indirectly, it was connected with the Henty family, the founders of Victoria. Arrandoovong is of architectural significance as one of the earliest large homestead complexes in the Western District and, with additions and alterations which are significant their own right, as one of the most intact. It garden and park setting reinforces and enhances that significance. 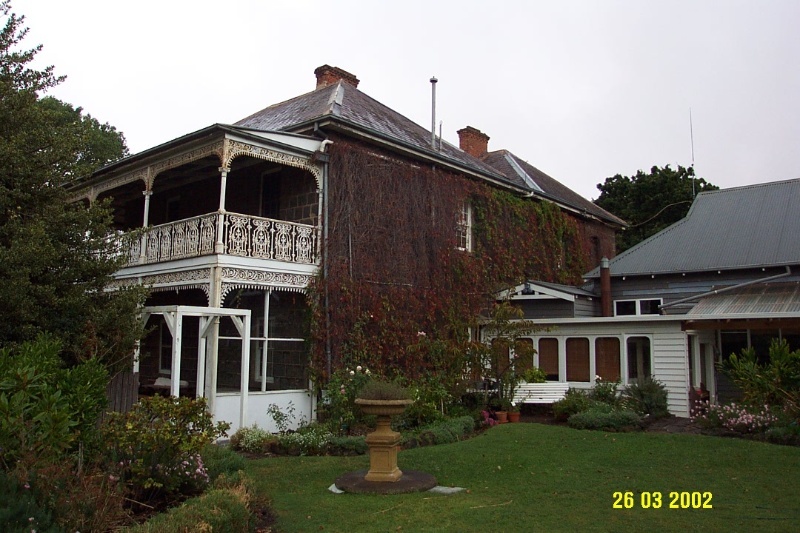 Arrandoovong Homestead is a substantial two storey bluestone home built in the Italianate style. It is thought that the homestead was designed on the lines of Mrs. Angus Cameron's family home on the Isle of Arran off the coast of Scotland but it's form and planning are relatively conventional for the period, and can be compared directly with Skene Homestead, built about the same time. The scale of both these houses is rare, however, in the western District at this time. An early visitor (author unknown) described Arrandoovong as "the homestead, a large two storied bluestone structure stands on the crest of a grassy hill overlooking the Arrandoovong Creek and the main road from Hamilton to Branxholme" (Sharp, no date). The homestead is built on a substantial plinth which acts as a sub-basement in one corner. 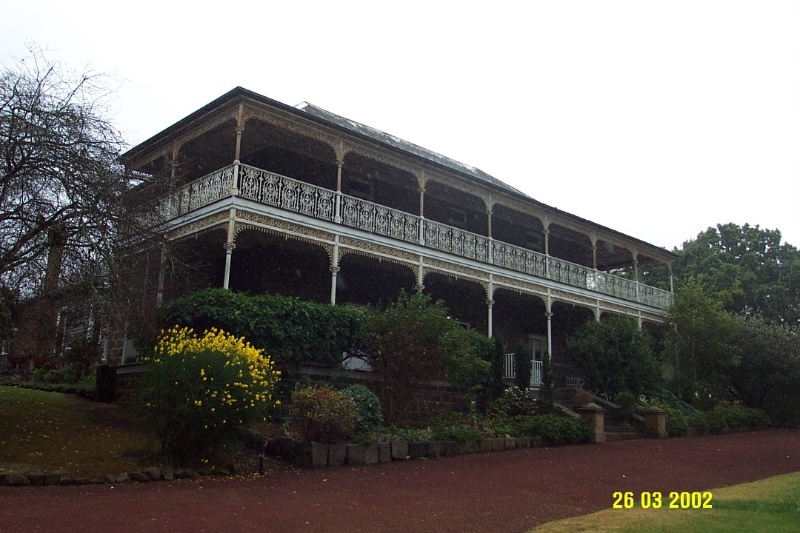 It currently has a cast iron verandah, typical of the last quarter of the nineteenth century, especially of the 1880s. Almost certainly this replaced an earlier two storey timber verandah, again probably similar to that which existed at Skene. The walls are rock faced and set in 12" courses with white tuck pointing. The front door has been replaced, probably in the 1920s and is now varnished timber framed around three equal panels and neo-Georgian in style. It has a narrow sidelight of coloured and textured glass with a stylised floral motif. The front windows of the principal rooms on the ground floor are the original French doors. The side windows are six-paned double hung sashes. The main roof is M-shaped with a transverse main hip. The roofing material is slate. The chimneys of the main wing are red brick rather than bluestone. Behind the main house, there is a single-storey timber service wing. From its Edwardian materials, detailing and roof form, this appears to date from about 1900. The most distinctive feature is the heavily corbelled red brick chimney. It was built as a kitchen wing, replacing an earlier structure. A late nineteenth century glazed timber vestibule still links the two wings. It has been substantially modernised internally. To the far side of the kitchen wing there is a small weatherboard meat house. Beyond the kitchen garden there is a paved service yard enclosed on two sides by timber buildings. The one at the rear is a stable, coach house and groom's room. The one on the side is a machinery shed, store and barn. Both are weatherboard with corrugated iron gable roofs and also appear to date from about 1900. The garden has retained some of the original 1850s plantings. These include the remnants of a Crataegus sp. (Hawthorn) hedge and specimens plantings of Pinus pinea (Stone Pine), Pinus radiata (Radiata Pine), Quercus robur (English Oak), Ulmus procera (English Elm), Populus nigra (Black or Lombardy Poplar), Cupressus macrocarpa (Monterey Cypress) and some fruit trees from 1850s orchard. These mature and in some cases senescent trees form the skeleton of the garden, around which later plantings have been added. The garden has been added to at various times, although the main plantings which are evident are those dating from the 1850s, the alterations and plantings done in the 1920-30s, and the majority of what we see in the garden today which has been planted by the Sharp family since their ownership in 1952. Major works carried out between 1920-1930 are clearly evident within the garden. One of the alterations in this period was the re-alignment of the driveway from the Hamilton - Branxholme Road to its current location on Chrome Road. This driveway was direct-seed planted with Eucalyptus cladocalyx (Sugargum) which still line either side of the existing drive. The turning circle at the front of the house was also altered during this time and the four rectangular beds of roses laid out. It appears that several specimen trees were planted close to the homestead this time. An Araucaria bidwillii (Bunya Bunya Pine) to the south west of the homestead, Cedrus atlantica 'forma glauca' (Blue Cedar), Quercus robur (English Oak) to the immediate south of the homestead and to the far south west of the garden, and a variety of specimens of Cupressus and Chamecyparis to the south west of the garden all appear to date from this period. A turning circle is located to the immediate front of the homestead, the centre of this is planted out in four equal rectangular beds of roses with a sundial in the centre. This is a modern planting which has been re-instated to the 1920s design. To the east of the homestead two very large mature surviving poplars which probably date from the 1850s. Beyond these to the north east are three poplars planted on a row, possibly dating from the turn of the Century. To the south east of these are five Robinia pseudoacacia which have been planted at the termination of the hawthorn hedge which once provided the shape for the much larger carriage way and turning circle which came over the creek from the Hamilton - Branxholme Road. There are also two very large Cupressus macrocarpa (Monterey Cypress) which act as sentinels on either side of the entrance to the garden proper, these date from the mid to late nineteenth century. Very few of the fruit trees from the 1850s orchard survive to the east of the homestead. Due to their age they are in poor condition. There is also a much later orchard containing a variety of modern and old fashioned standard fruit trees. Beyond the Arrandoovong Creek there are few remaining Ulmus procera which lined the original driveway. To the north west of the homestead is a modern 'cottage style' garden which has been laid out to emulate an Edwardian flower garden. This has been enclosed with wooden fencing. A pair of macrocarpa stand at entrance to the garden from the 1930s driveway.